This is what it looks like after several barrels of mead! Actually, these tiny warriors (no Wagnerian horned helmets here!) 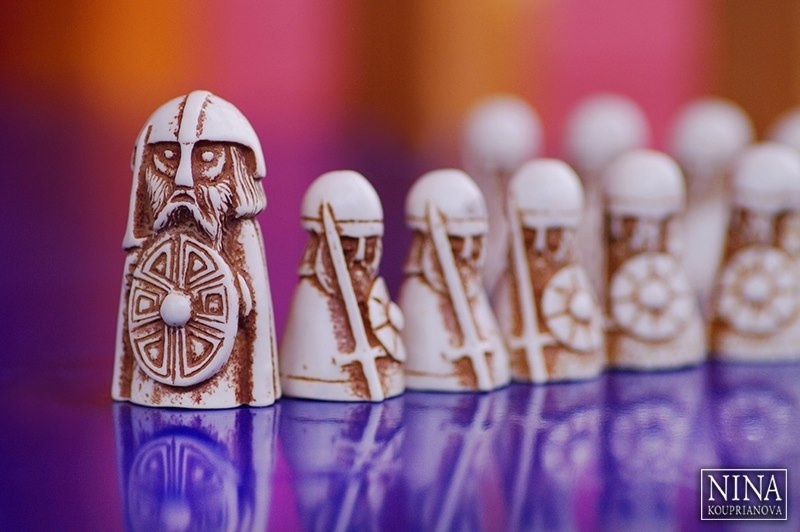 are pieces from Hnefatafl, an old Scandinavian board game roughly akin to chess. The color in this image is natural: that is, brightly colored background objects are the source of reflections using daylight. P.S. Being able to blog after all: good. Blogging after spending 24 hours at airports: potentially embarrassing!